It is quite unfortunate that someone as talented as Jon Bellion is as underrated as he is. The American musician, rapper, and songwriter has all the makings of a superstar – good looks, a great voice, and a legion of loyal fans; despite these, he is yet to achieve the recognition he truly deserves. Jon Bellion, who has been in the entertainment industry since 2011, is best known for his hit singles All Time Low, Woke The F*ck Up, Human, Maybe IDK, Guillotine and Dead Man Walking. His talent and his charms have endeared him to millions of fans worldwide. With his recent album Glory Sound Prep, his reach and fan base continues to grow, which is why now is the best time to learn everything you need to know about the icon in the making. Jonathan David Bellion was born in Lake Grove, New York on the 26th of December, 1990. Growing up, the musician was torn between his love for music and love for basketball, both of which he excelled at. However, during his junior year in High School, he made the choice to focus on a music career. After graduating from high school, he enrolled at Five Towns College in Dix Hills, New York but when he was 19, he dropped out of college. Jon decided to focus on writing songs professionally which led him to work under Kara DioGuardi – an American singer-songwriter, record producer, TV personality, and music executive. The two worked together for a year with Jon signing a deal through her personal publishing company. From working with her, Jon Bellion was able to learn to write songs in different genres and he ended up working with different acclaimed artists in the industry. Jon was able to use this experience to make a name for himself, growing as an artist and a songwriter. While he is known for writing many hits songs, he especially gained praise for writing Monster for Rihanna and Eminem as well as writing Trumpets for Jason Derulo. As a musician, he draws inspirations from Eminem, Pharrell, Coldplay, André 3000, J Dilla, John Mayer, and surprising, Pixar Animation Studios. Jon Bellion’s inspirations, his talent, and his experience as a songwriter all add up to make him the amazing musician he is today. 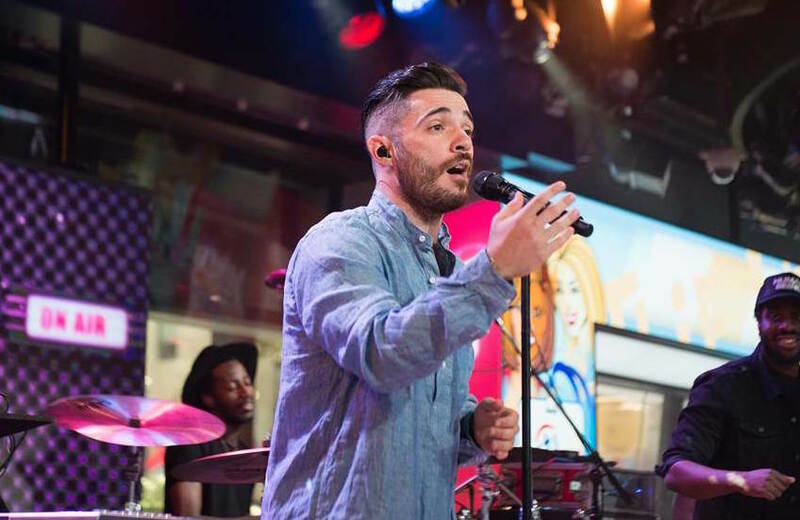 Jon Bellion has been active in the entertainment industry since 2011. He has gone on several tours, released multiple albums and mixtapes, opened for artists such as Kanye West and Twenty One Pilots, and has written several hit songs. All of these has translated to a successful career and a total net worth of $4 Million. Seeing as Jon’s career is still on the rise, this amount is guaranteed to go up in the future. Jon Bellion was born to Judy Ann and William J. Bellion in 1990. While Jon is a native New Yorker, he is also of Italian descent. It is common knowledge that Jon has several siblings but there isn’t enough information about his siblings. However, his older sister, Christianne, is particularly notable because she has featured on a song, ‘Ooh’, with him. Though not a lot is known about his family background, it is known that he comes from a close-knit family. It is also public knowledge that the musician lived with his parents until recently as a result of this closeness. Wife, Is Jon Bellion Married? Being handsome, successful, and talented, it is understandable why he would be expected to be off the market by now. However, Jon Bellion is still single and not yet married. For now, the musician has chosen to focus on his career and not his personal life. Hopefully, this dedication will help him achieve career heights he undoubtedly deserves. While Jon might be presently single, he was previously rumored to be in a relationship with Melanie Iglesias – an American model and actress. Despite several shoutouts on social media, the two never officially confirmed their relationship. However, their supposed relationship ended after several months together. Since then, Jon Bellion has not been in any other rumored or confirmed relationships. Jon Bellion is currently in amazing shape. The American musician stands tall at 6 ft and weighs a commensurate 80 kg (176 lbs). Details of his other body measurements are not available. It is quite apparent that Jon Bellion puts in the effort to stay in shape, however, his exact workout routine is not known.